Fill up the dearth for designer clothing in your wardrobe with this avantgarde Ravishing Black Georgette Designer Tunic with Red Threadwork. Short sleeves and curved neck the tunic is adorned with beautiful red thread embroidery done by machine. 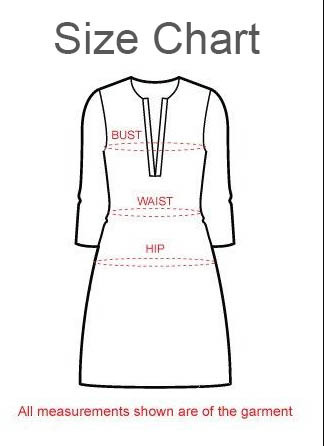 Below the belt line the tunic is silhouetted like a dhoti loosely pleated and balloon shaped. Team it up with red cigarette pants.